I am posting this a few days ahead because we are going to Portugal on Sunday and will not be taking my computer with me. Anyway here you go, we started to celebrate last night with our friends and neighbours over dinner and a bottle of Rosé Champagne. We met in 1978, I was a student at the University of Ottawa and Will was with our national airline. We had both moved on our own in 1976 to the National Capital, me for studies and he for work. We were both arriving from major metropolitan areas so Ottawa felt really small town. What was suppose to be a one drink meet and greet has lasted all these years. 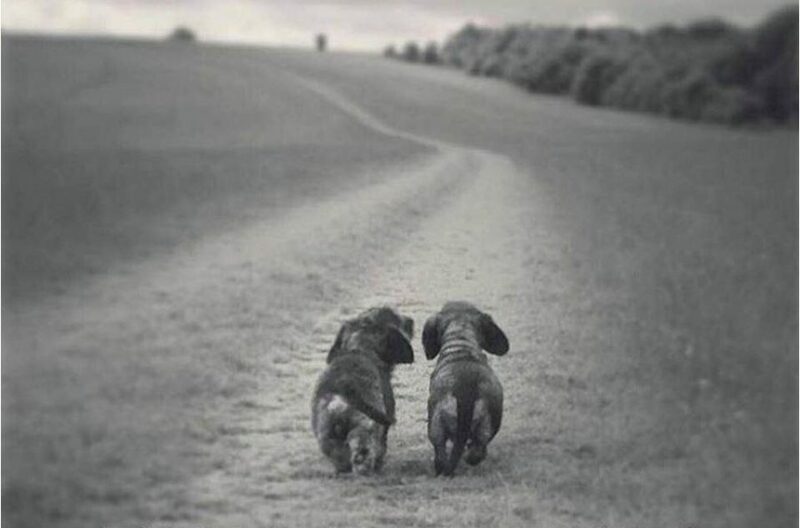 We bought 2 houses and sold them, we moved, travelled and lived around the world, we had and have dogs, Dachshunds, Bundnie, Reese, Nicky and Nora. What a time we had and the wonderful things we have done. I am very grateful for those years with Will, I really cannot imagine my life without him and without all the music festivals we went too over all these years here in Canada and around the world. The parties we gave and all the food Will cooked and fancy recipes with the funny stories that went with them. So to celebrate we are off to Portugal, make the anniversary special has we have always done with any and all celebrations, be it Birthdays, Christmas, Thanksgiving, vacation time, etc, our day 23 November. We got married 11 years ago in late July but our November date is the one that matters most to us. Roman Summer Season of the Teatro del Opera at the Baths of Caracalla. Will and I often attend cooking school and this one just outside Rome, Will is making ravioli by hand, I believe they were stuffed with pumpkin purée and quite good. I made a dish of grilled anchovies, using the entire fresh fish, it is very sweet and pleasant. At dinner after the Opera during the Salzburg Whitsun Festival at the Sketch Bar, Hotel Bristol, Salzburg, Gunther the barman took the picture. May 2009. We stayed and dined at this hotel in our many visits to Salzburg for the festivals. At the Mozarteum in Salzburg during the entracte, Will reading the program notes of all the concerts for the Season 2011. 1996 Christmas in our home in Hunt Club in Ottawa. I came home from Jordan. Photo in our dining room with those little sterling silver snowflakes in the foreground hanging from the chandelier, that we still use at Xmas time. Our last picture in Ottawa, taken by Jean-Marc Carisse in 2016. Wearing our Austrian trachten jackets. What can one say of a life time of wonderful memories. It’s been a slice! May it continue for many more years. Well today is the day, bright and Sunny Spring day here in Charlottetown. For lunch we had Lobster sandwiches, pretty good stuff. Tonight is the party, special cake made by my pastry chef neighbour, food made by our friend Pico who lives a few a few doors from us who is an amazing cook from Senegal. Beautiful fresh flowers, because it is Spring, they are Tulips. Will also made two patés, one Salmon and one chicken livers with currants, quite good and lots of bubbly for my friends to drink. 1962 going to school first day. My Mom took that photo. Flying to Rome some 52 years later, notice the hair cut is pretty much the same. No that is not water I am drinking. What an amazing life I have had, quite thankful on this Birthday for my good fortune. Also thankful for Will and the 39 years we have had so far together. Many years ago my parents were friends with Armenian born Yousuf Karsh, the World famous Canadian photographer who lived for many years in a suite at the Chateau Laurier Hotel in Ottawa, he offered to my parents on their Wedding Anniversary to do a series of portraits of them. We kept those wonderful portraits and I use to kid my Mother that she had now something in common with Josef Stalin and Winston Churchill, that of having her portrait taken by Karsh. Those portraits are family heirlooms now. Ottawa being the Capital many Politicians have their picture taken by photographers but some shine above the rest and one is Jean-Marc Carisse who came to prominence in the late 1960’s with his portraits and action shots of our then Prime Minister Pierre E. Trudeau, the father of Justin. Carisse then took pictures of all manner of famous people and his work was in great demand. He became identified with the Liberal Party of Canada, the natural governing party of Canada. His skill was to take perfectly natural photos of his subjects and their humanity just shine through. Jean-Marc Carisse is an award winning Canadian photojournalist. He has photographed the political, cultural and social scenes in Ottawa and around the world for over 40 years, including stints as official photographer serving the Prime Minister’s Office (Pierre E. Trudeau, John Turner and Jean Chrétien) and as a freelancer. His photographs have appeared on many covers of magazines including Time, Paris Match and Maclean’s. I always wanted to have a picture of us taken by him and we went to see him at Studio Café Carisse on Elgin Street in Ottawa just a few steps away from our house. At Christmas time our puppies Nicky and Nora arranged a gift certificate, they are such clever Dachshunds. Here is the result of Carisse’s work. This portrait is to mark my 60th and Will’s 70th Birthday. Wearing our Traditional Austrian Trachten jackets a souvenir of the many vacations spent in Innsbruck, Salzburg and Vienna and of many happy memories of our long life together. This year, 2016 is an anniversary year for us and the beginning of a new adventure.